Among the issues shaping the origins debate, the most complex scientific questions surround the origin of life. Gerald Rau outlines some of the confusion and uncertainty concerning the origin of life in chapter 4 of his book Mapping the Origins Debate: Six Models of the Beginning of Everything. I’ve written on this before, but it bears repeating with emphasis. From the point of view of science, the origin of life is a wide open problem with a great deal of speculation, some experiments, and very little hard evidence. Part of the problem, as Rau emphasizes, is that life formed rapidly on earth once it cooled. Well, “rapidly” depends on context of course. The earliest fossils date to somewhere around 3.6 billion years ago. Thus it appears that life formed within 1 billion years of the formation of the earth, within half a billion years of the time the earth cooled sufficiently to allow rock formation, and probably within a 200 million years or so of the time the earth cooled below the boiling point of water. But how did life originate? Textbooks and such, especially at the K-12 and even undergraduate level often leave the impression that it is a solved problem – all that remains is to fill in minor details, dot the i’s and cross the t’s so to speak. Earth’s ancient oceans, while lifeless, but were filled with the chemicals needed for life. These chemicals were not alive, but they were there, sloshing around. They call these chemicals “Primordial soup”. Instead of alphabets, this soup was filled with amino acids, proteins, lipids, and other basic components that are commonly found in life forms today. It is believed that life began on the shores of these ancient oceans, in pools of water called tidal pools. These shallow pools would have been full of this “life soup”. Over many millions of years, as the ingredients of life splashed around in these pools, possibly helped by lightning strikes, they formed the first cells. 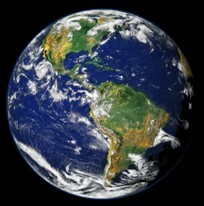 Life on Earth began about 3.5 billion years ago. At that point in the development of the Earth, the atmosphere was very different from what it is today. As opposed to the current atmosphere, which is mostly nitrogen and oxygen, the early Earth atmosphere contained mostly hydrogen, water, ammonia, and methane. Not only are these broad brush descriptions simplified – they are, quite simply, wrong. The atmosphere likely contained little ammonia or methane, rather a good bit of CO2 – more like Mars or Venus today. Electrical discharge, radioactivity and ultraviolet light make a mixture better classed as goo – and goo that is not exactly conducive to life. Even if there were shallow pools of amino acids, proteins, lipids – and organic soup – formation of life by chance as the textbooks suggest is not really a plausible hypothesis. Rau refers to Simon Conway Morris’s book Life’s Solution: Inevitable Humans in a Lonely Universe throughout his discussion of the origin of life. Conway Morris emphasizes that we don’t really have a clue how life developed on this planet. The synthesis of organic goo – from simple hydrocarbons to larger polyaromatic hydrocarbons and even amino acids is straightforward. Such compounds are common in the universe. Many experiments have tested possible mechanisms for the formation of the building blocks of life, adenosine, ribose, amino acids, carbon chains. 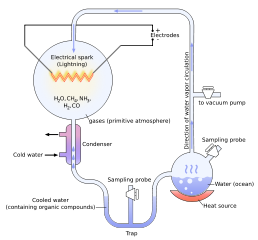 The most famous of these is the classic Miller-Urey experiment which is used to suggest that the “ease” of synthesis of amino acids in conditions resembling the early earth should make the formation of life inevitable. But cosmic goo and vats of tar are not well suited for the formation of life. 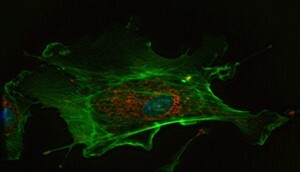 Even the simplest cell is an incredibly complex object. It almost certainly did not happen by chance. In some fashion the origin of life is encoded into the universe, either into the natural laws of the universe or through some supernatural “seed” or action. The lack of any clear evidence or convincing mechanism for the formation of life makes this a something of a case study for the role assumptions play in the approach to the problem. Rau looks at the question in the context of the six models for origins that he has outlined (see the post Models, Models, Models for a description of the models Rau considers). Creationist Models. In contrast to the models that require natural mechanisms, both old earth creation and young earth creation hold that life is too complex to have arisen “by chance” and that it is far more likely that God created life intact – as the first cell, or as the different kinds of fully formed creatures. Many of the intelligent design arguments, such as those found in Stephen C. Meyer’s book Signature in the Cell, focus on the complexity problem as evidence for a designer. I did a long series on Meyer’s book, you can find this through the Science and Faith link at the top of the page. While I disagree with many aspects of Meyer’s argument for design, he lays out the complexity of the problem reasonably well. Directed Processes. The final model, directed evolution stands apart from both the “hands off” evolutionary models and the creationist models. Unlike the other five models, Rau suggests that this model does not have a philosophical commitment that wholly determines the interpretation of the evidence. A number of explanations for the origin of life will emerge but “[t]he thing they will all have in common is the idea that God directed low probability events to achieve his purposes in creation.” (p. 99) This model suggests that direct interaction by God during the process of the origin of life shaped the outcome. It seems to me that the directed evolution view does have a philosophical commitment that wholly determines the interpretation of the evidence. That commitment is that God directed the events to achieve his purposes. That direction may be indistinguishable from natural mechanism, or it may be in some fashion detectable, if only through the vanishingly small probability that an undirected process could have achieved the result. The bottom line. I think the origin of life is an interesting scientific question, but it is a question for which we may never have a complete answer. We certainly won’t have an answer within my lifetime, or the lifetime of anyone reading this post. As Christians it doesn’t do us much good at all to argue about this one. The Big Bang and the origin of life may be one-off events where God played a direct “unnatural” role in the process, or life may have arisen through “natural” processes. Obviously those who deny the existence of any supernatural reality will dispute the possibility of a direct or indirect role for God, but it really is a philosophical commitment. In Rau’s discussion I find the distinction between planned and directed evolution unproductive because it doesn’t really wrestle with what it means for God to be the creator and sustainer of the universe, including life. One of the commenters on an earlier post noted “All the categories seem to drive a wedge between God and nature, rather than view the workings of nature as the very hand of God; that the whole universe hangs together and is sustained by God.” This hits the nail on the head in my opinion. The definitions of planned evolution and directed evolution both drive a wedge between God and nature. This is seen clearly in the discussion of the origin of life here. This wedge causes us to ask ill-posed questions and insist on incomplete answers. My philosophical and theological commitments on the origin of life are not well described by either planned evolution or directed evolution as described by Rau. My scientific view is that the origin of life is a complex, hard, and fascinating question. We will learn much in the attempt to understand the process whether a final solution is ever attained or not. What have you been taught about the origin of life? Which of the views above (or something else) best describe your thinking on the subject? If you would like to comment please see The Origin of Life at Jesus Creed. This entry was posted in Creation and tagged Gerald Rau, Origin of Life. Bookmark the permalink.